I spent the morning with Joseph Borg, a very talented pastry chef ! 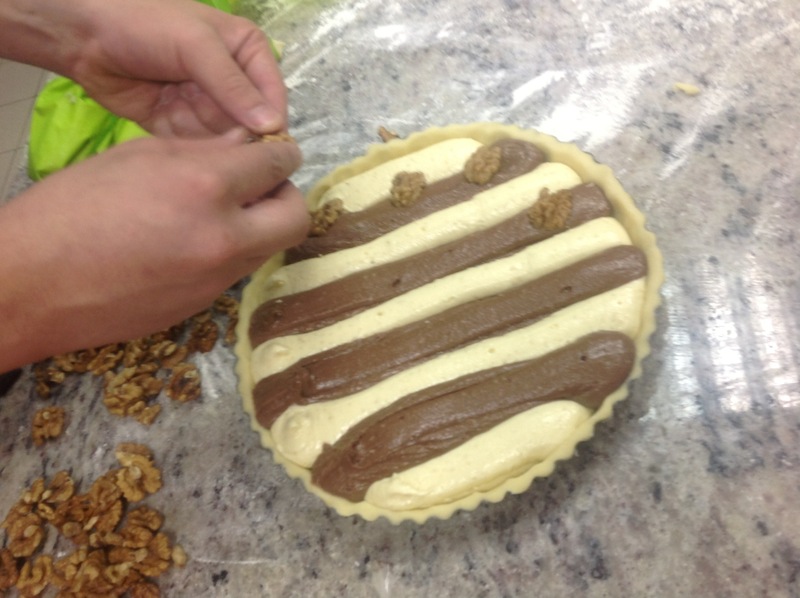 And we made his special Almond and chocolate tart ! Walnuts for the surface ! 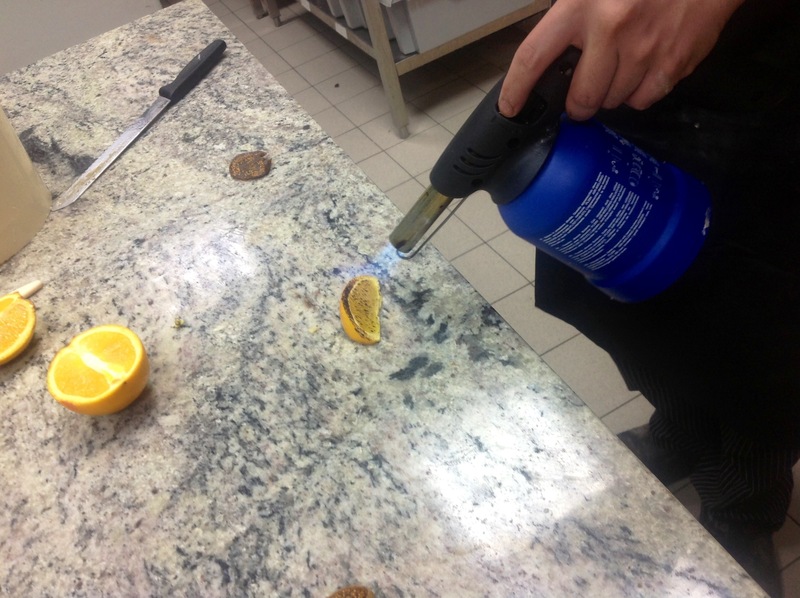 Blow torch the orange segments ! Frangipan and Chocolate Tart ! Cream the butter and sugar in a mixer. Mix together the eggs and water. 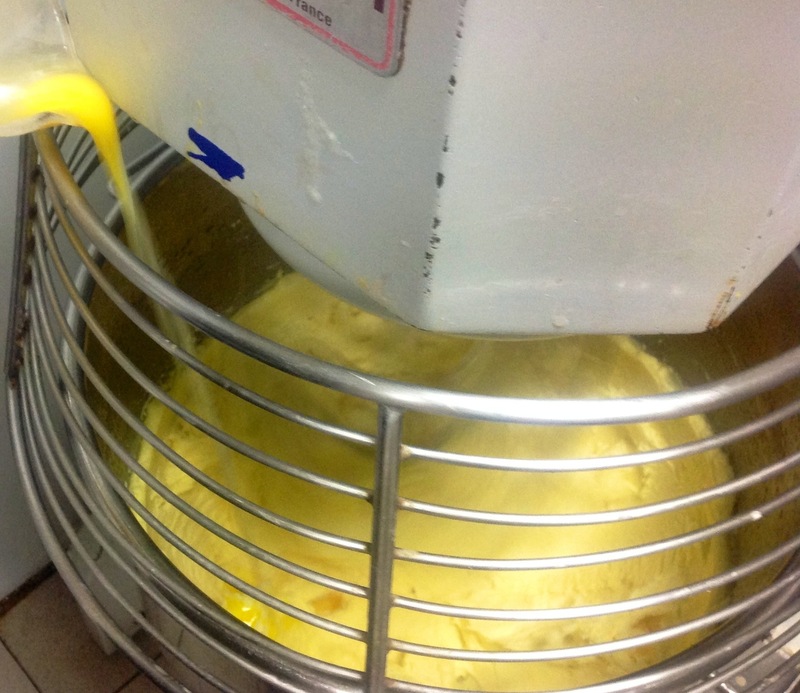 Gradually add the beaten eggs and water. Add flour and beat in. 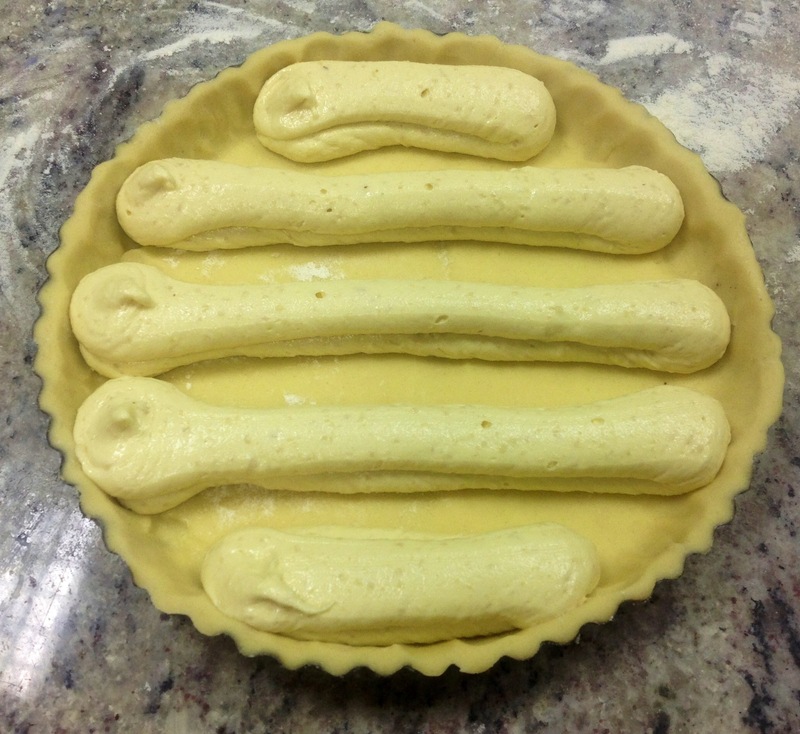 This pastry does not need to rest and can be used straightaway ! It is also best used on the day it’s made rather than storing it in the freezer or fridge. 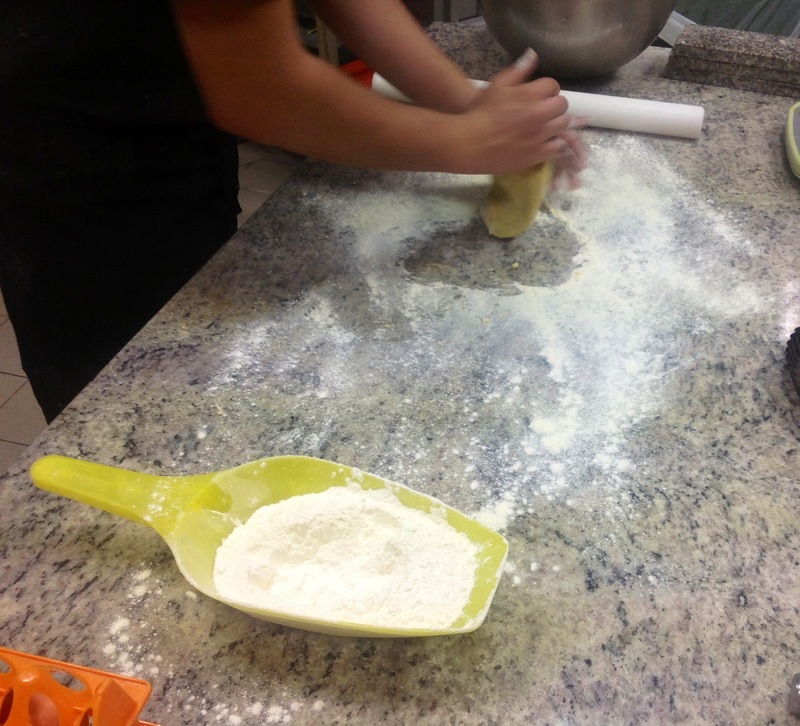 Dust your work surface with flour and knead the pastry lightly dusting with extra flour. 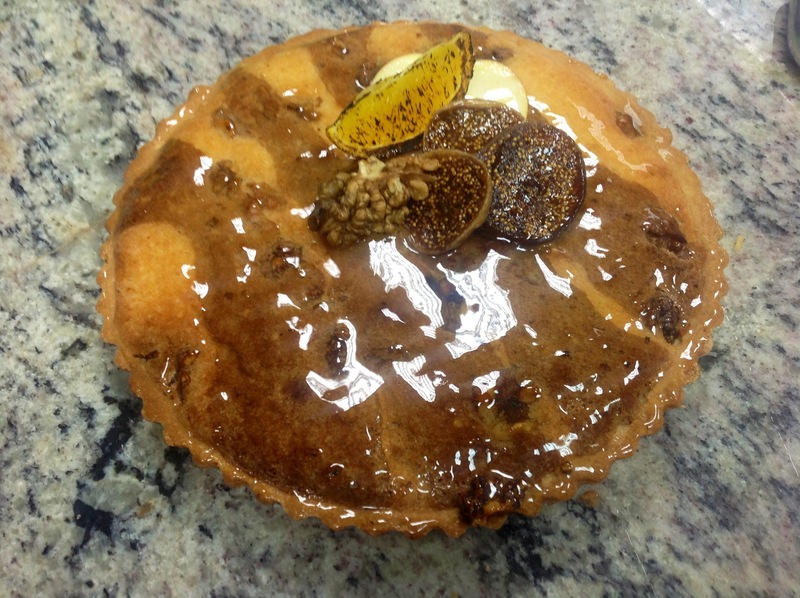 This pastry has a wonderful satiny feel and is lovely to work with. Roll it out with a rolling pin to a thickness of 5mm. Neatly cover the bottom of the tart dish. 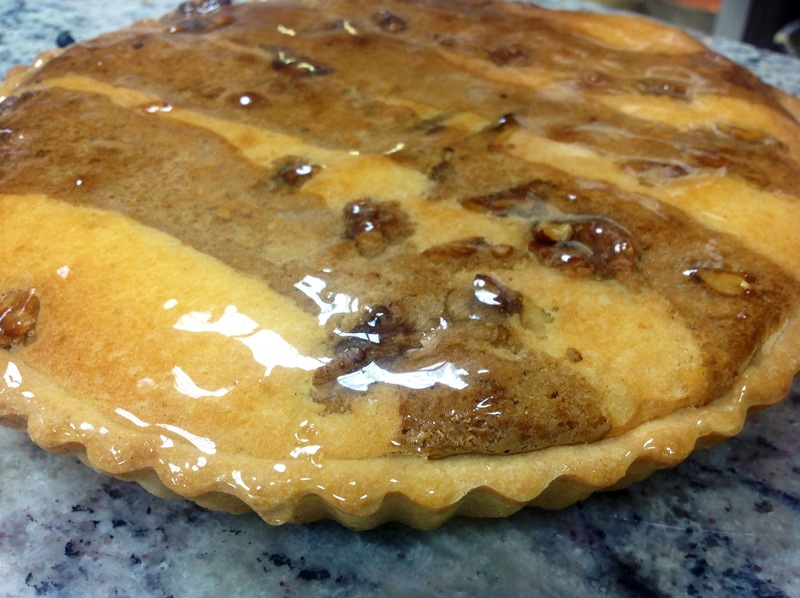 This pastry is rich in butter and you will not need to grease the tart dish. Cream the butter and sugar in a mixer. Gradually add beaten eggs and citrus zest. Add the flour and ground almonds and mix in well. 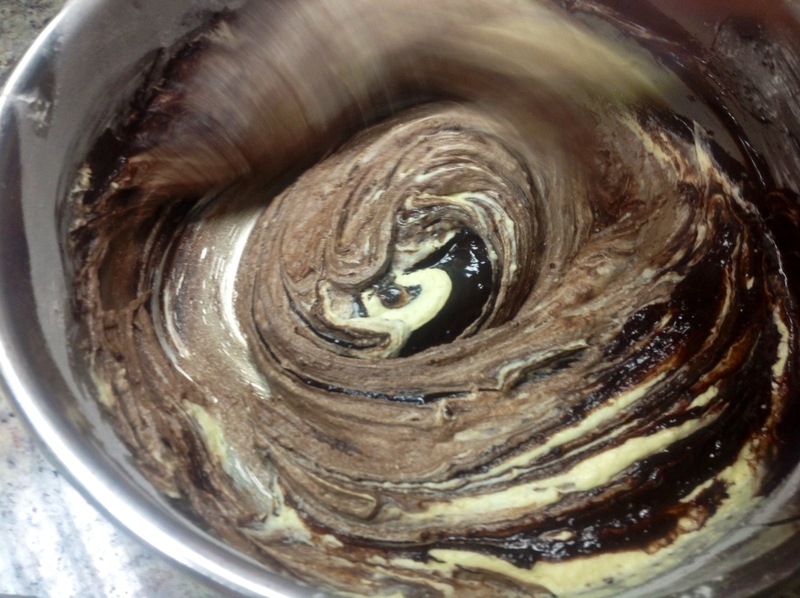 Split the mixture into 2 and add the chocolate spread to half of the mixture. 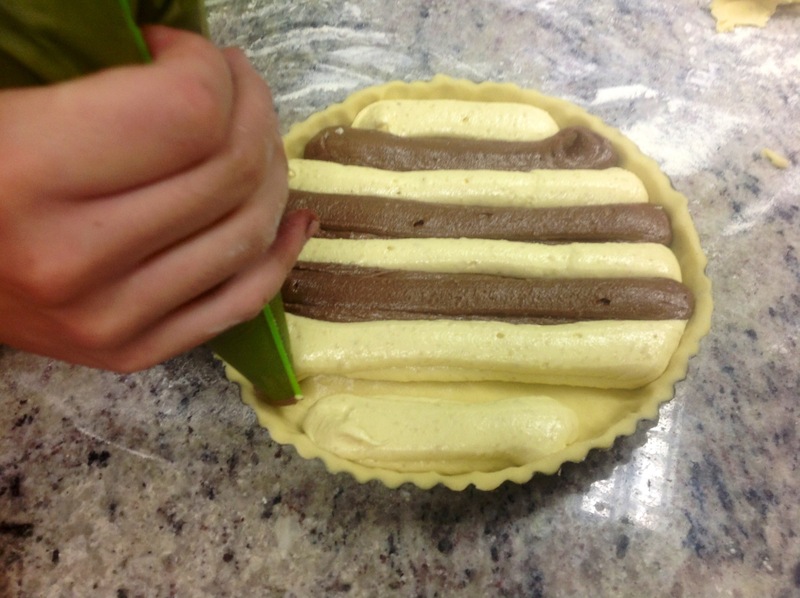 Using a piping bad pipe strips of plain frangipane mix into the tart shell leaving a gap to strips of the chocolate frangipane mix in between. 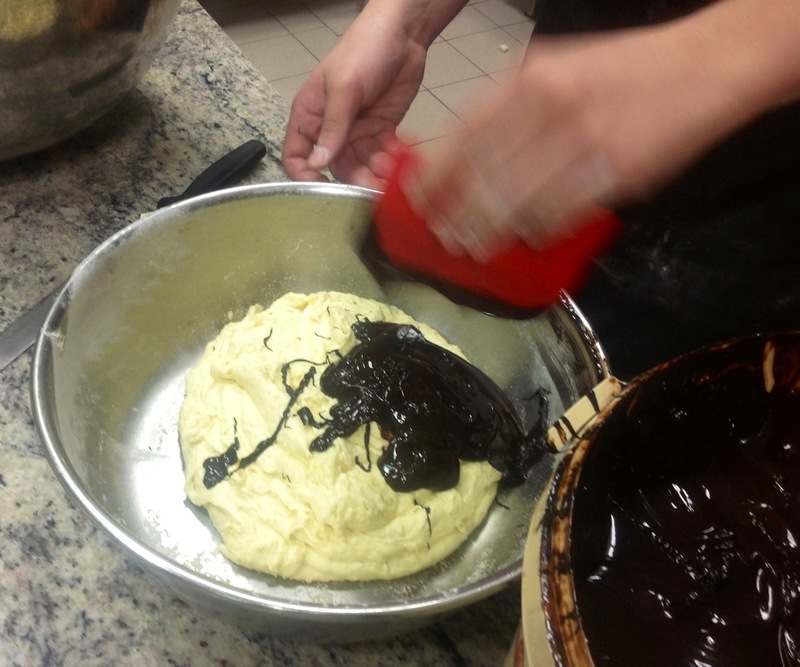 If you do not wis to use a piping bag, spoon the mixture neatly. Decorate the surface with whole almonds or walnuts. Allow to cool and brush with some heated apricot jam for a glazed surface. Decorate with fruit of your choice. 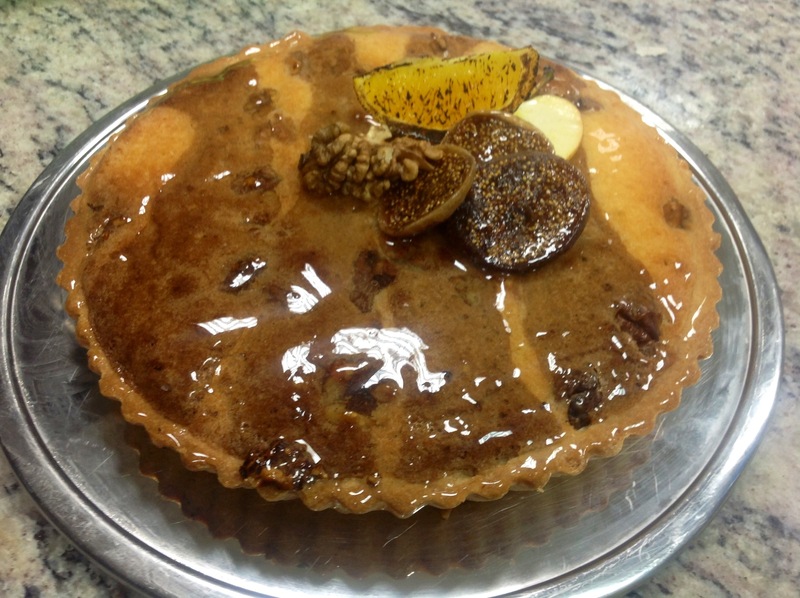 Joseph used caramelized oranges, apples and figs. It was a great experience working with Joseph and made my day too ! So glad you liked it ! Thank you Joe, really fantastic, always a pleasure to working with you!